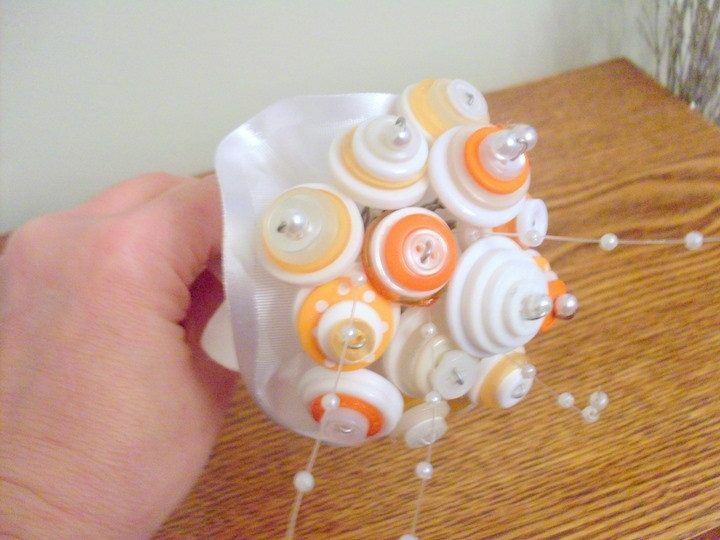 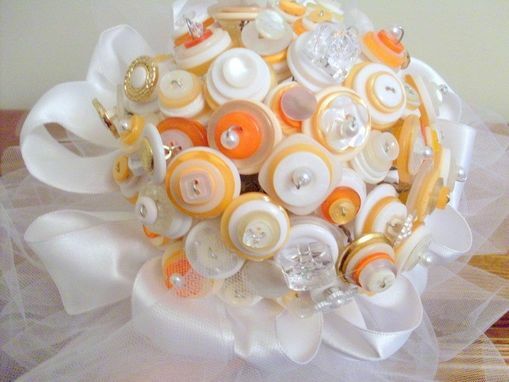 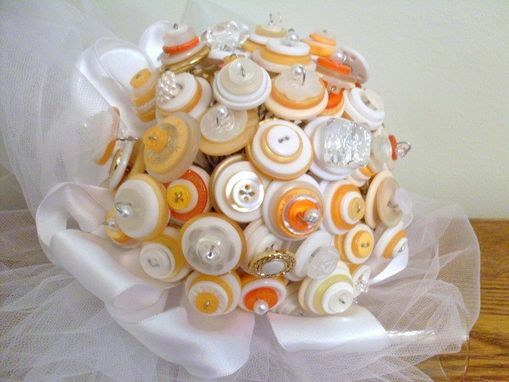 The combinations and styles are endless with customizable button bouquets. 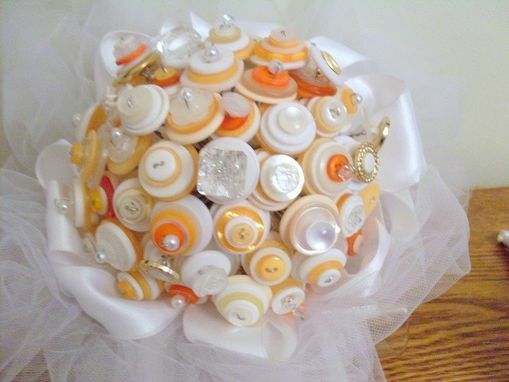 This special package includes a bridal button bouquet with 60 stems with around 300 cream and white buttons with accent colors of your choice, a tulle and ribbon cascade that's about 27'' in length, and Swarovski crystals. 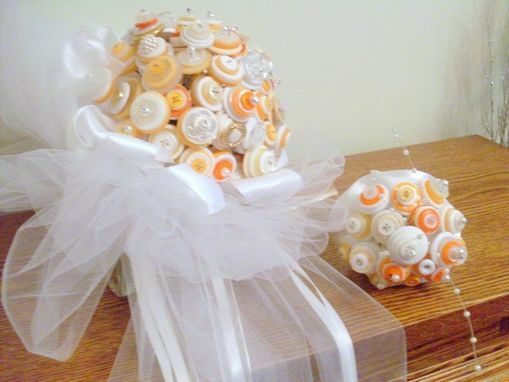 This package also comes with a toss bouquet, a matching boutonniere, and a guest book pen. Contact me for international shipping fees and questions you may have.